Day 1 I had a horrible cold on Monday and I still didn't feel 100% on Tuesday so I decided to go for trousers as I didn't feel like being sucked into a pencil skirt! Because I know I have quite a few meetings during my challenge that will need formal black and white outfits, I need to save those outfits for then, so I'm embracing pattern for days in the office! I don't wear this shirt nearly enough but I love the muted floral print for work. This was an outfit I've been excited to wear ever since this blouse arrived. 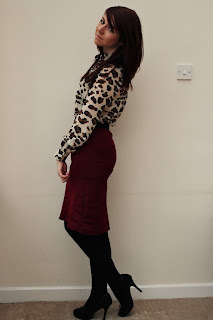 I love a bit of leopard print and this blouse is perfect for work. I initially tried this with a blazer (I tried black and maroon), but I think it looks best on its own. I was supposed to have a meeting on Thursday but I found out it was cancelled the night before so I took another opportunity for a more playful outfit. 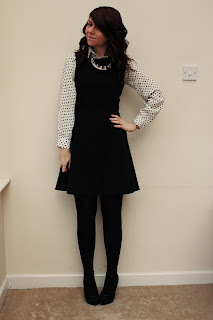 I absolutely love this dress and it's a perfect way to experiment with the pinafore trend for work. Last time I wore this dress it was just with a white shirt, but the polka dots are fun but also quite subtle. 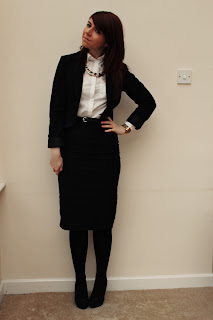 I had a big meeting on Friday so it was a simple black pencil skirt, white shirt and blazer combo for day four. 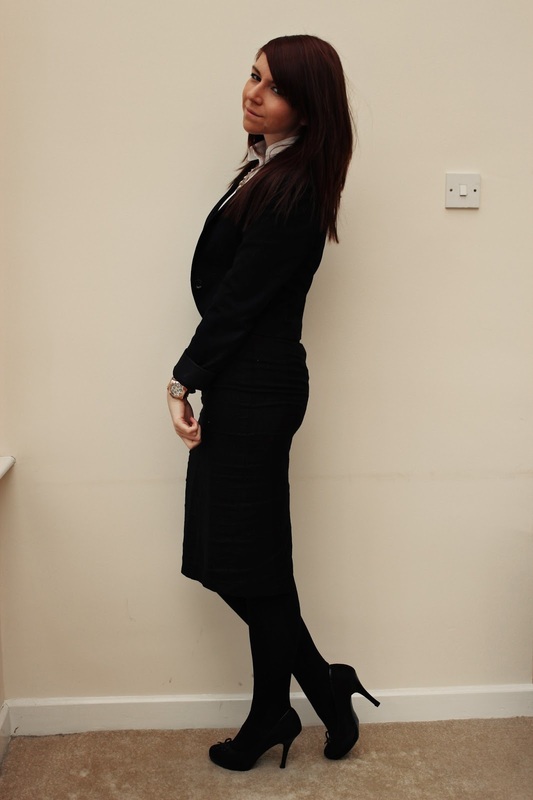 It took me ages to find the "perfect" black pencil skirt but this one from ASOS is great, even if it does restrict my movement a bit! So that's week one of my challenge over. As I've said, not a massively creative week but I think with the items I've chosen I wanted to play it fairly safe. I've also successfully gone a week without clothes shopping! I hope I don't start getting bored of my items this week! 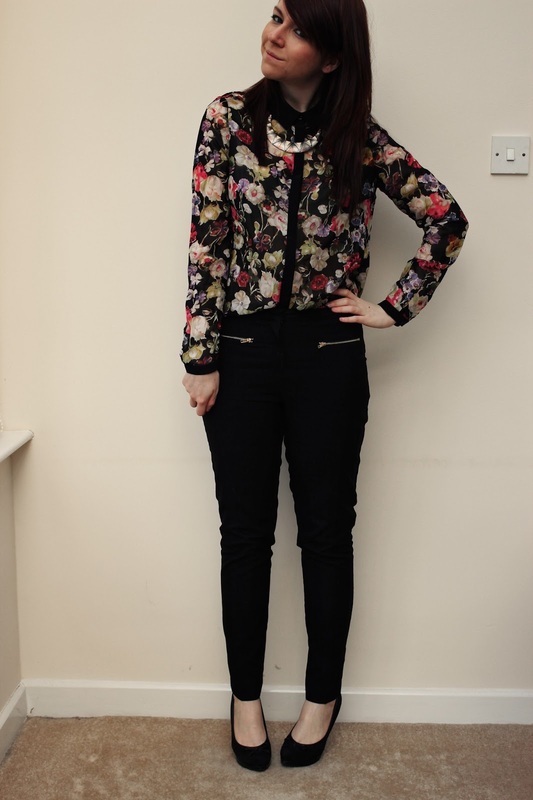 Beautifully put-together, Charlotte - I especially love the blouse of day 2 and the whole look for day 3!! Sometimes I wish our dress code at my work was stricter as I end up wearing skinny jeans and sweaters a lot... it'd be nice to be forced into pencil skirts and dresses, I'd wear them more!! Professional and very cute at the same time! I really love those trousers you're wearing in the first outfit. The second outfit with the leopard print top is awesome too!